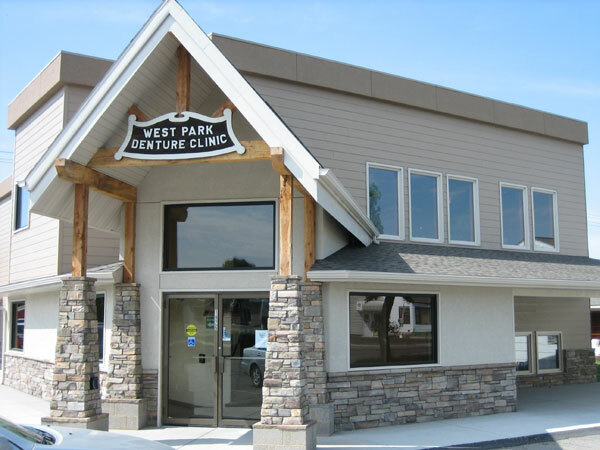 Since 1985 West Park Denture Clinic has been providing the highest quality denture care to its patients. Our licensed denturists are concerned health care professionals whose skill and knowledge in denturity have established a solid reputation for meeting all types of denture/partial needs with a superb fit and a fair price. Grant graduated from Oregon Denturist College in 1992 and became licensed in Oregon at that time. He interned at this office for one year and had an office in NE Montana for two years after which he practiced in Oregon until September 1998. He returned to school for advanced studies at George Brown College, International Denturist Education Centre, in Toronto, Canada. Upon completing that program, he returned to Billings with his Montana denturist license to become a partner with his father. Grant has a wife and three sons. Ron worked in his father’s dental laboratory in Minneapolis and had his own laboratory in Minnesota before moving to Montana in 1979. He became a licensed denturist in Montana in 1985 and has had offices in Lewistown and Billings since that time. Ron has a wife, four married children and ten grandchildren.